Carly Rae Jepsen was nearly a victim of her own success. Her breakthrough single 'Call Me Maybe' wasn't just big -- it was one of 2012's definitive songs, with a presence so massive that it overshadowed just how good Kiss, the album that housed it, was. 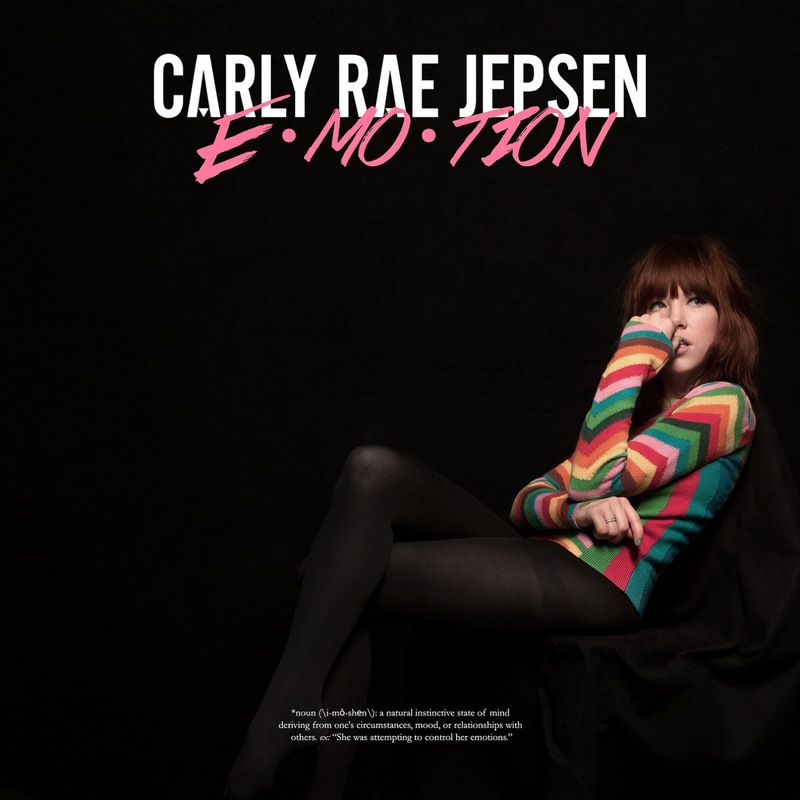 After taking time to regroup, Jepsen returns with E-MO-TION, another set of songs that are better than the average Top 40 hit. While nothing here is as instantly striking as 'Call Me Maybe,' the album gives the impulsive sweetness of her big hit some perspective. If Kiss was the sound of first love and first heartbreak, then E-MO-TION captures how heady the ups and downs of crushes can be the third or fourth time around. For every head-over-heels declaration like 'Run Away with Me,' there's a song such as 'I Really Like You,' a smaller-scale outburst where Jepsen acknowledges 'this isn't love.' This sophistication extends to the music; where Kiss suggested several potential directions, E-MO-TION presents a more unified front. A-list songwriters and producers including Sia, Devonté Hynes, Ariel Rechtshaid, Shellback, and Greg Kurstin help her focus Kiss' effervescence into a cohesive sound that is somehow even more '80s-influenced. The slap bass and crystalline synths on 'All That' turn it into a seemingly long-lost slow jam, while Rechtshaid's unabashedly glossy production on 'When I Needed You' reflects how big an impact his work with HAIM had on the 2010s pop landscape. Jepsen gets more adventurous on the album's second half, teaming with Sia to bring newfound drama to 'Making the Most of the Night' and with Rostam Batmanglij and Tegan and Sara on 'Warm Blood,' one of E-MO-TION's most contemporary-sounding tracks. Jepsen said she drew inspiration for the album from Cyndi Lauper and Robyn, both of whom excel at sounding exuberant and yearning at the same time. Like those artists, Jepsen is at her finest when she lets her sparkly facades crumble a little with vulnerable lyrics. The excellent 'Your Type' is so deftly self-deprecating and catchy that it could actually be a Robyn song, while the title track and 'Boy Problems' capture longing and heartache in ways that feel like they were written for everyone's inner junior high schooler. An even more consistent album than Kiss, E-MO-TION further defines Jepsen as an equally stylish and earnest pop artist.